A, B, C, D…. every child loves to learn their alphabet letters! Use the variety of bright and colorful resources on this page to help them along. 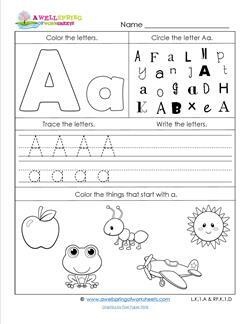 Post the letters on your classroom bulletin boards, use them when teaching lessons for each letter, or use them for matching games and putting the letters in the sequential order. Post them on a white board and have kids use a pointer to identify the letter you call out. Use your imagination and have fun with these resources! Go to this page to choose from all of our language arts resources. WOW! 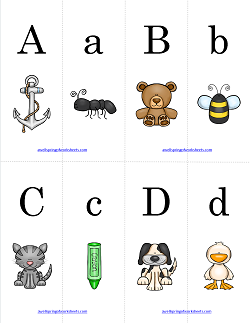 Here are a few fun alphabet games for kids. We have alphabet dominoes in three different skill sets. Kids match the uppercase and lowercase letters in alphabetical order, in not alphabetical order, or to a picture of an object with the beginning sound of that letter. 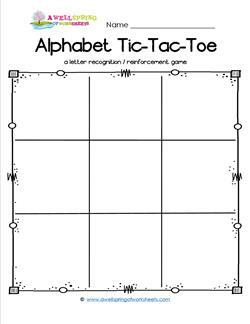 Alphabet tic-tac-toe is just as fun, but in a different way. 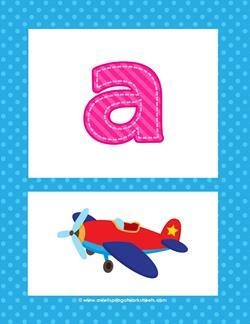 Kids can play with all uppercase letters, lowercase letters, matching letters, etc. More games to come in the future!